Mass Bay Spine & Sport Physical Therapy (MBSSPT) of Marshfield has recently promoted Kathleen Young, a Marshfield resident, to the position of Office Manager. Ms. Young joined the MBSSPT team early last year as a front office assistant. In her new role as Office Manager, she will be responsible for overseeing front office operations, billing and the administrative staff. Previous to MBSSPT, Ms. Young worked in office administration and front office reception at two medical practices on the South Shore for four years. With a passion for wellness, Ms. Young is a yoga instructor in her spare time and also participates in many fundraisers for Autism Speaks and other Autism charities. “Kathleen is personable and knowledgeable and her administrative skills truly set her apart. 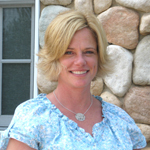 She is a great fit for our talented team,” noted Brendan Carman, MPT, ATC, founder of MBSSPT. Mass Bay Spine & Sport Physical Therapy (MBSSPT) is an orthopedic outpatient physical therapy practice. MBSSPT, a state-of-the-art facility owned and operated by a physical therapist, has earned a reputation for superior clinical care and delivery of services to South Shore community members as well as physicians from Boston to Plymouth. The practice’s highly trained staff is committed to providing clients with an experience that will ensure their condition is resolved effectively and efficiently, while empowering them with the necessary tools and knowledge to prevent future problems and maintain optimal health. All of the practice’s physical therapists are trained to rehabilitate a variety of conditions utilizing treatment techniques that include soft tissue massage/mobilization, therapeutic and strengthening exercises, neuromuscular reeducation, gait training, patient education, and lumbar stabilization, to name a few. MBSSPT accepts Medicare, Workers’ Compensation, auto insurance, and most private insurance plans. Mass Bay Spine & Sport Physical Therapy is located at 506 Plain Street in Marshfield. For more information, visit www.massbayspineandsport.com or call (781) 319-0024.